Handmade cards are easier to make than you may think. To make the base I used a piece of ultra-white felt cardstock of 12 x 6” scored at 6’’. For the background I picked a colorful striped paper and colorful dots paper from the 6 x 6 paper pad of the collection. 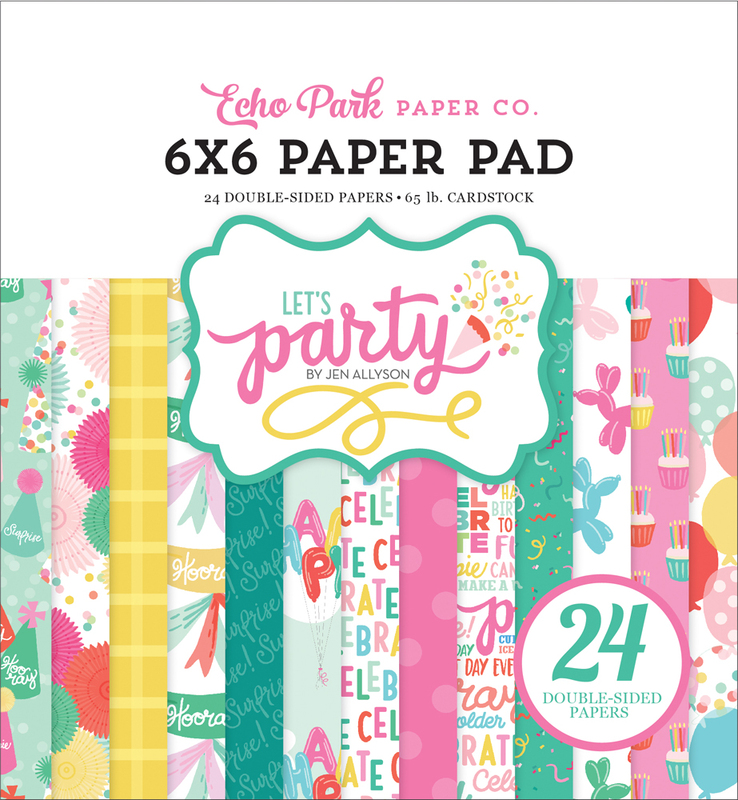 Also, many chipboard stickers from the Let’s Party Sticker Element Sheet. When I saw the “Make a Wish Paper” I love the birthday fans, I was amazed by the idea of creating my own fans to give dimension to the card. 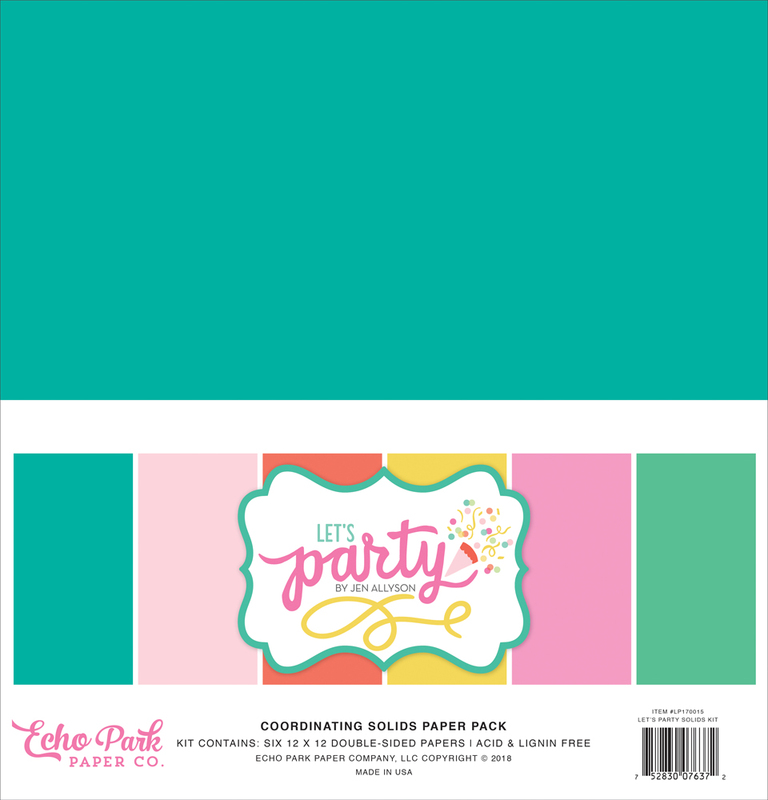 To create them I used the Let’s Party Solids Paper Kit. For the big one I used a piece of 1 ¼” x 10 ½, for the medium I cut a piece of 1 x 10 ½” and for the two smaller ones I cut a piece of 3/4 x 9 ½”. Then I embellished it with chipboard stickers from the collection. For the inside of the card I cut another piece of cardstock of 12 x 6” with fold in 6”. Then, I made some marks in 1”, 1 ½”, 1 ¾”, 2¼”, 2¾”, 3”, 4½” and 5½”. After that I made some cuts as you can see in the picture. These cuts will be the supports for the pieces that will form the pop up. To create the inside background for this card, I pulled out the “Throw Confetti Stencil from the Let’s Party Collection and used a dauber to add the confetti pattern to the orange/yellow paper using a yellow ink. Next, I cut the birthday cake and the gifts from the Journaling Cards Paper. To create the sentiment, I cut out the surprise word from the Birthday Surprise Word Die Set and glue it in the center of the cake. This piece mixed with sprinkles jar sticker and the piece of cake sticker of the collection are the pieces that make up the pop up. This looks awesome, I love it! To finish the card, I covered the other side panel with the yellow squares paper from the 6 x 6 paper pad and add the “Happy Birthday to you” die cut from the Frames & Tags Ephemera Pack with the big square bracket note card from the Ephemera Pack. This bracket it’s the final touch, because you can add your personal message. I had a lot of fun with this collection and I know you will too!